With its 66,842 square metres of gallery space, the State Hermitage Museum (Госуда́рственный Эрмита́ж) in Saint Petersburg is the second largest art museum in the world – only the Louvre in Paris is larger (72,735 m²). Combined, the various collections in the Hermitage amounts to over 3 million items, with the numismatic collection accounting for roughly one million of this. The core of the Hermitage is housed in a complex of six historic buildings along the Palace Embankment, with the most famous of the buildings being the Winter Palace, a former imperial residence. 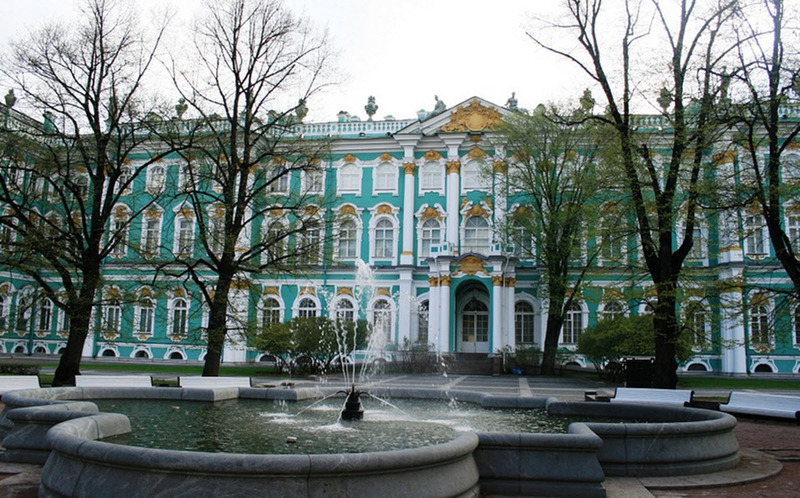 In addition to this, the Hermitage has several branches in Saint Petersburg. The museum has its roots in an art collection acquired by Empress Catherine the Great in the 18th century, and the Hermitage wasn’t open to the public until 1852. 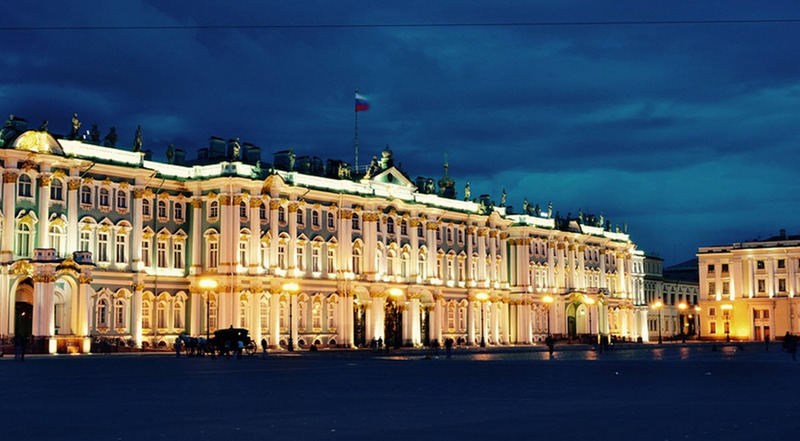 Nowadays, well over 4 million people visit the Hermitage each year. The official web site is Hermitagemuseum.org. Can I visit the Hermitage? 1 Can I visit the Hermitage? 2 Where is the Hermitage? 3 Who owns the Hermitage? 4 When was the Hermitage established? Yes, five of the six core buildings are open to the public. They are the Winter Palace, the Small Hermitage, the Old Hermitage, the New Hermitage, and the Hermitage Theatre. You enter through the Winter Palace (the entrance is accessible from the courtyard). Adults need to pay an entrance fee, unless you visit on the third Thursday of the month. The entrance fee is lower for citizens of Russia and Belarus. Students with an eligible student ID can visit for free. The Hermitage is closed on Mondays. Closest metro station: Admiralteyskaya (Адмиралте́йская), which is on the Frunzensko-Primorskaya Line of the Saint Petersburg Metro. The core of the Hermitage is housed in six large buildings along the Palace Embankment, a street along the Neva River in Central Saint Petersburg. This is a very prominent street, along which you’ll also find famous landmarks such as the Marble Palace, the Vladimir Palace, the New Michael Palace, the Saltykov Mansion, and the Summer Garden. The Hermitage, including the collections, is federal state property and is thus owned by the Russian state. When was the Hermitage established? The roots of the Hermitage goes back to 1764, when the Russian Empress Catherine the Great acquired a collection of paintings from a Berlin merchant who had originally assembled the collection for King Frederick II of Prussia. When Frederick II refused to purchase the collection, the merchant started looking for another buyer and found the Russian empress. The collection was chiefly comprised of paintings by Flemish and Dutch artists, and included – among other things – 13 works by Rembrandt, 11 by Rubens and 5 by Anthony van Dyck. There were also two paintings by the Italian high renaissance painter Raphael and one by the Venetian school star Titian. Examples of paintings in this collection are Danae by Rembrandt, Descent from the Cross by Rembrandt, and Portrait of a Young Man Holding a Glove by Frans Hals. The total number of paintings were either 225 or 317 (sources differ). The original collection was kept at the Winter Palace. In 1766, an extension on the east of the Winter Palace was finished; an extension that we today know as the Souther Pavilion of the Small Hermitage. The Northern Pavilion was finished in 1769. Eventually, the extensions were connected by galleries, and Empress Catherine placed her art there. While she was alive, very few people were allowed to visit the exhibitions. Prehistoric artefacts are exhibited on the ground floor of the Winter Palace’s western wing. These artefacts were made from the Paleolithic to the Iron Age, and have been brought to the Hermitage from excavations in the former Russian Empire and Soviet Union. You can for instance see the world’s oldest surviving knotted-pile carpet here, which belong to the exhibition about the nomadic tribes of the Altai Mountains. The Caucasian exhibition includes plenty of Urartu items discovered in Armenia. The Egyptian collection at the Hermitage was started in the mid 19th-century. Today, it occupies a large hall on the ground floor in the eastern part of the Winter Palace. A small collection of artefacts from ancient Mesopotamia is located near the Egyptian antiquities. It includes several Assyrian reliefs from Babylon, Dur-Sharrukin and Nimrud. The huge collection of classical antiquities takes up most of the ground floor of both the Old Hermitage and the New Hermitage buildings. Some parts were built specifically to be exhibition rooms, but the ground floor in the eastern wing of the New Hermitage was originally intended to be a library. A 2.57 meter tall jasper vase that was installed before the walls of the Greate Vase room was erected. The floor of the Athena Room is decorated with an authentic 4th-century mosaic brought to Saint Petersburg from the excavation of an early Christian basilica on the Crimean Peninsula. Greek artefacts from the third millennium BCE. Roman sculptures from the first century BCE. This enormous collection is focused in Western European art from the 13 century CE to the 20th century CE. It is spread out over approximately 120 different rooms in four different buildings in the Hermitage, and includes numerous world-famous pieces of art from various epochs and artistic movements. The Knight’s Hall is a large room in the New Hermitage devoted to Western European arms and armour from the 15th – 17th centuries CE. Russian paintings from the 11th – 19th centuries CE can be seen on the first floor of the Winter Palace, where the richly decorated interiors are works of art themselves. In the middle of the New Hermitage, four small rooms on the ground floor exhibit western European jewellery from the 4th millennium BCE to the early 20th century CE. Russian lapidary (gem stone) work is exhibited in the upper gallery of the main staircase of the New Hermitage building. To see jewellery from the Pontic steppes, Caucasus and Asia, go to the ground flooor of the south-western corner of the Winter Palace. This exhibition includes, among other things, Scythian and Sarmatian gold objects.